Kill two birds with one stone using the Fitness Singles dating site – Find yourself a hot date and a workout partner at the same time! This is THE dating platform for fitness fanatics. With around 2 million users worldwide, an excellent photo gallery feature and the ability to specify which of around 100 fitness activities you are particularly interested in, you have every chance of meeting the like-minded person of your dreams. Of course, as any Fitness Singles review will tell you, the whole outlook of the site is its’ most striking characteristic. Everything is tailored to finding a fellow fitness and sports enthusiast. As a result, when you create your profile, it is centered on your “Primary activities” and “Other activities,” from a list of around 100 categories from adventure racing to trapeze and more! It is also worth checking out the online magazine, which includes profiles of featured members and sensible fitness tips. Finally, FitnessSingles.com has teamed up with some top brands for relevant products which you can take advantage of. You will have no problem getting started. Just submit a username, password, e-mail address, date of birth and location and you are pretty much ready to explore Fitness Singles. Although the sign up process is quick and simple, you should take your time populating your profile. Providing details of your diet and fitness goals for example will help other users understand more about you. For a start, there is very little chance of scammers at Fitness Singles as most users are typically serious about their fitness and exercise. Creating a fake profile around these very specific interests is unlikely and so the very nature of the site means you should have few security worries. Just to make sure, all profiles are scrutinized by a Quality Assurance team within 24 hours of submission. Importantly, you can block or report any user at just the click of a button, providing genuine peace of mind. You can of course join the site for free. In comparison to many dating sites, free members enjoy generous functionality. In addition to creating a profile and browsing, they can “show interest” and send an initial message for free. However, if you really want to interact and meet someone, you will need to pay for membership. A single month costs $39.99, while a 3-month deal works out at $21.99 monthly and a 6-month package is $14.99 per month. Not only is a 12-month deal good value at $9.99 monthly, but you also get the “Perfect Fit Guarantee” which hands you an additional 12-month membership for free if you are unsatisfied with the service. 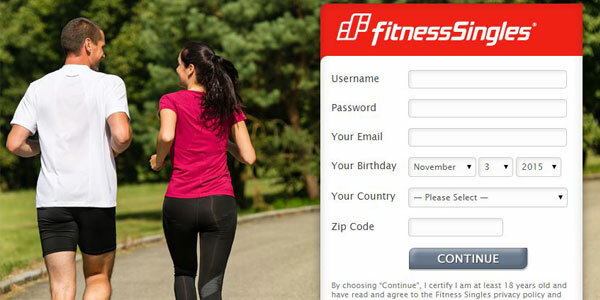 The site has a sharp look to it, as you might expect from a website appealing to fast-moving fitness enthusiasts. And the clean, professional feel is not just cosmetic either. Fitnesssingle.com is incredibly usable. The tabs along the top of your personal dashboard take you straight to your profile and the chance to add or edit photos. The sidebar provides instant access to your inbox and hotlists, including who has viewed your profile and who is online now. Conveniently, you can save profiles which look interesting and study them in more detail later on. Another useful tool is the pre-prepared questions if you want to break the ice with other users, such as “Great smile” and “Wanna chat?” Meanwhile, Fitness Singles also boasts a quality mobile site, which includes an SMS service whenever you receive a personal message on the site. Searching for an appropriate match at FitnessSingles.com is made easy. In fact, you can tailor your search to your exact specifications with little fuss. You can opt for a “Quick” search, which will give you a good idea of the pool of possibilities out there, enabling you to search by age and location. However, if you wish to be more specific, then try the “Advanced” search, which lets you set criteria which meet your personal needs. As this is a site for fitness fans, the search categories include around 100 specific fitness activities and associated skill level. If you prefer to search individual profiles manually, then make sure to use the “show interest” button. If your interest is reciprocated, then you will be informed straight away. In operation since August 2003, you will struggle to find a Fitness Singles review which does not conclude that this is the premier dating site for single fitness enthusiasts. It caters superbly for singles who make sports and fitness a big part of their life and wish to share their passion with a like-minded partner. If you are looking for someone with a keen but somewhat less focused fitness or sporting interest, then it is well worth checking out excellent general dating platforms such as Match Nonetheless, features at FitnessSingles.com such as the excellent photo gallery and “show interest” button make this a premium dating site - period. And with some attractive multi-month packages, this is a dating site which will truly keep you on your toes.